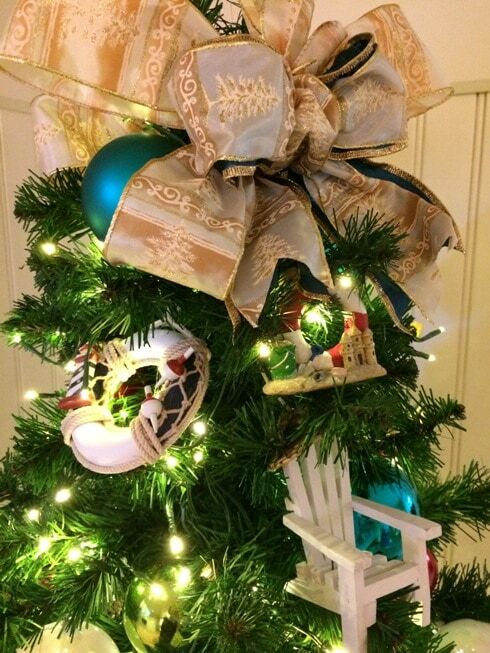 For a festive by-the-sea Christmas celebration done up Disney style, you’ve got to visit Disney’s Beach Club Resort. 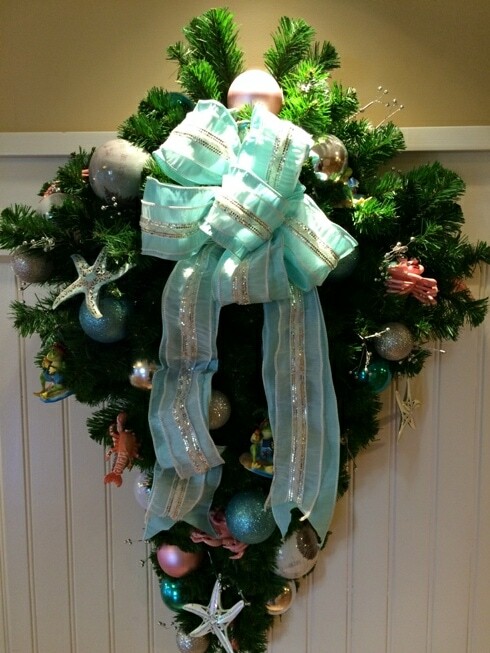 Located just outside the World Showcase entrance to Epcot, Disney’s Beach Club resort is located immediately beside Disney’s Yacht Club resort. 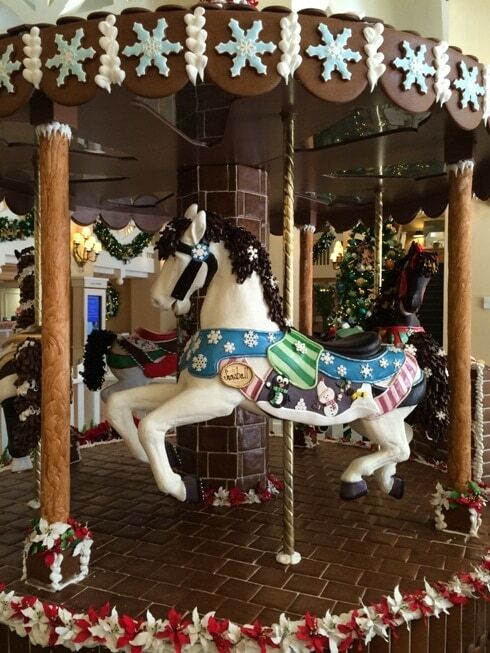 Both are an easy walk from the theme park, or around the lake from Disney’s Boardwalk Resort, or Disney Swan or Dolphin. 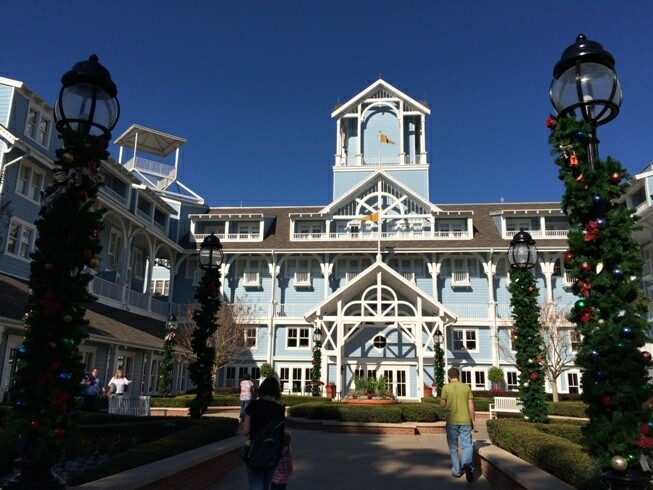 Disney’s Beach Club has a softer, more playful feel for beachside décor, compared to the Yacht Club’s heavy woods and dark décor. 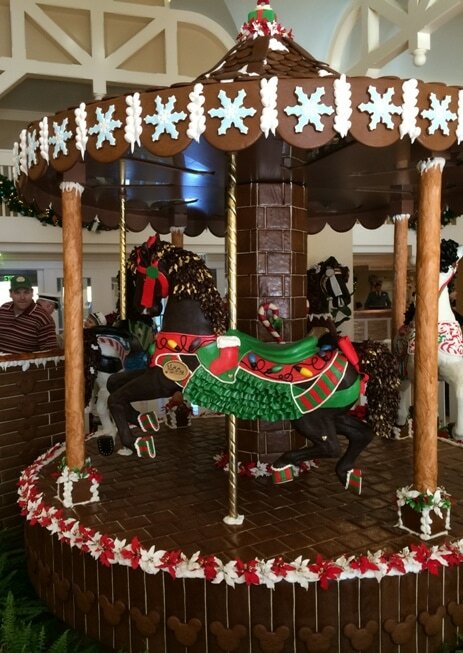 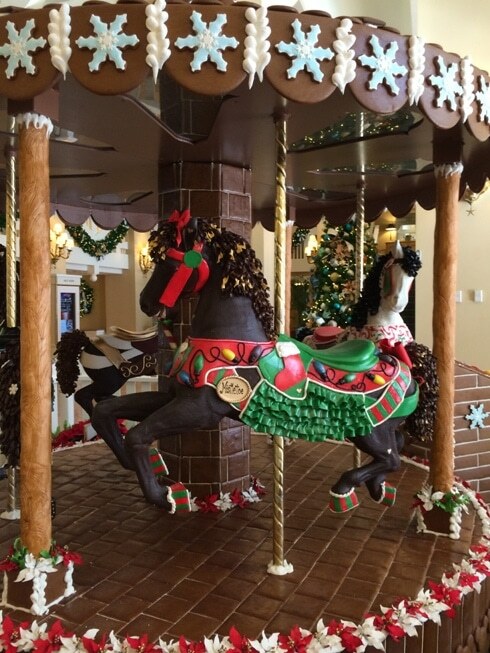 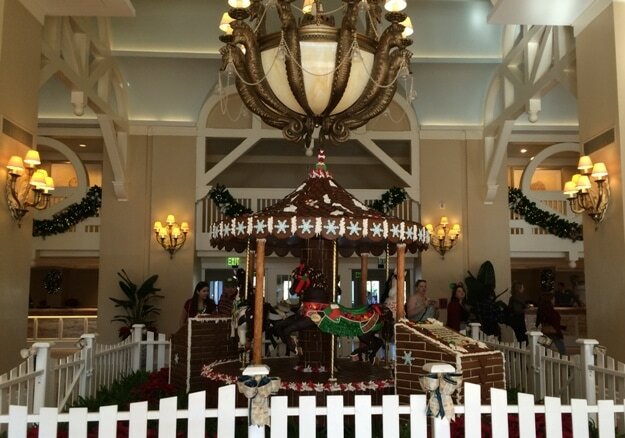 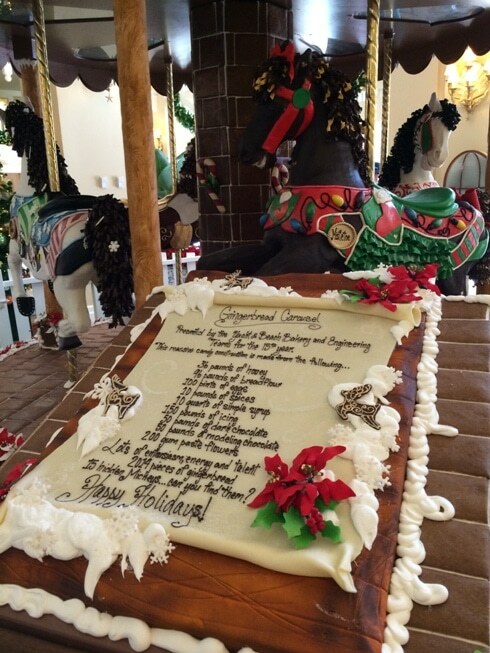 Inside the lobby of Disney’s Beach Club at Christmas, you’ll find a gingerbread carousel which actually spins around to the delight of visitors. 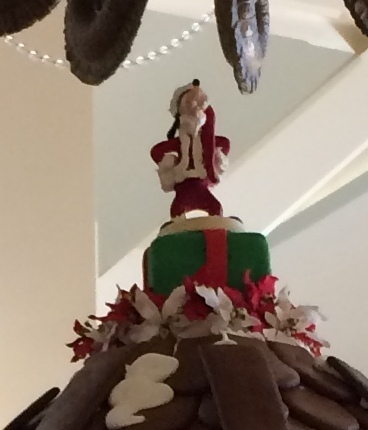 Don’t forget to look for Goofy on the top of the carousel! 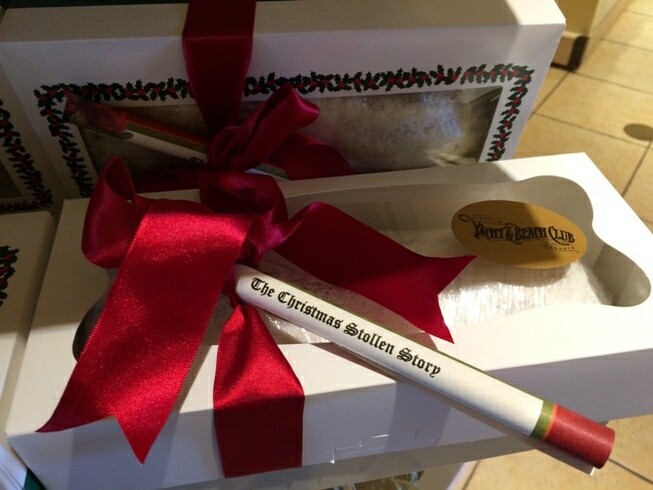 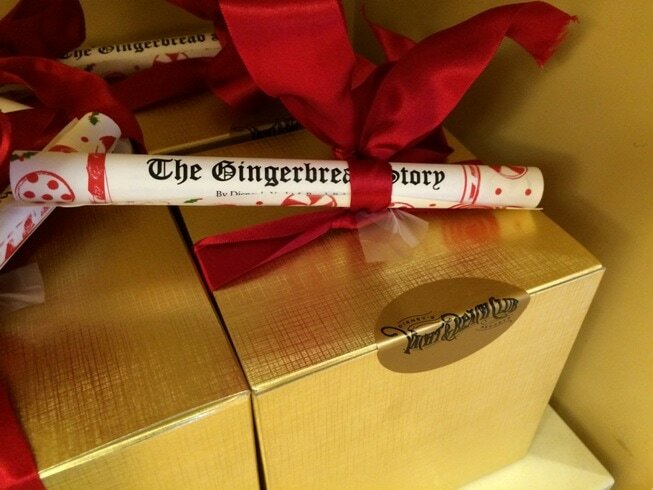 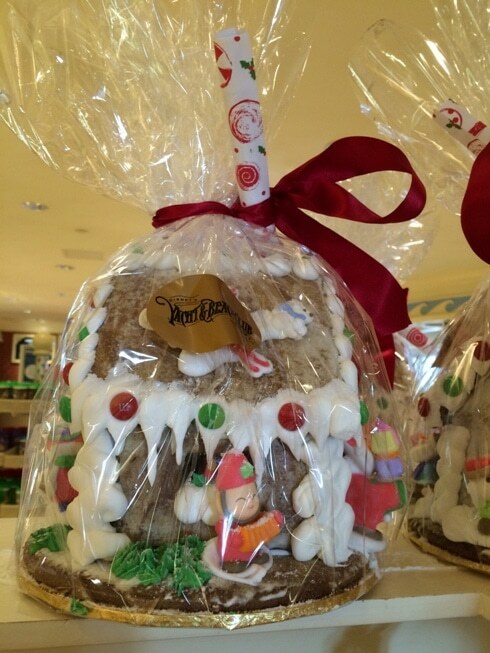 In the gift shop, you can buy Christmas Stollen or a Gingerbread house. 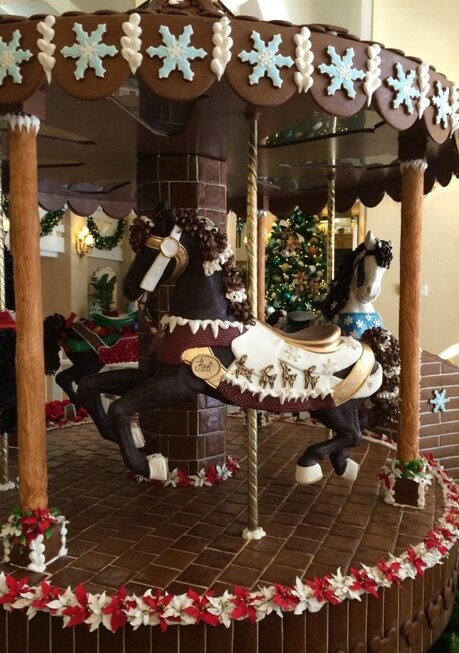 Throughout the resort, the colors and décor are fresh and light, with plenty of whimsy thrown in from iconic beach scenes nestled in Christmas decor. 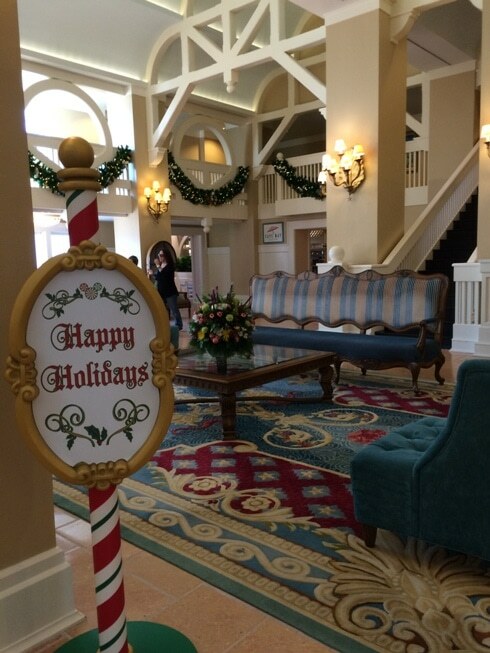 If you’re already at the Beach Club, then there’s no reason not to walk on over to Disney’s Yacht Club. 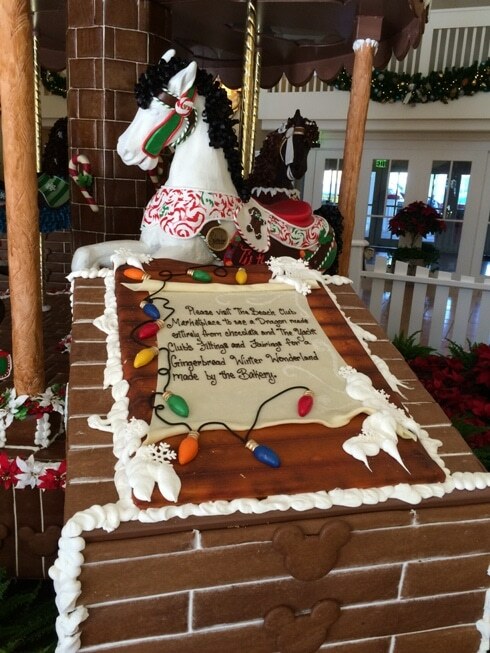 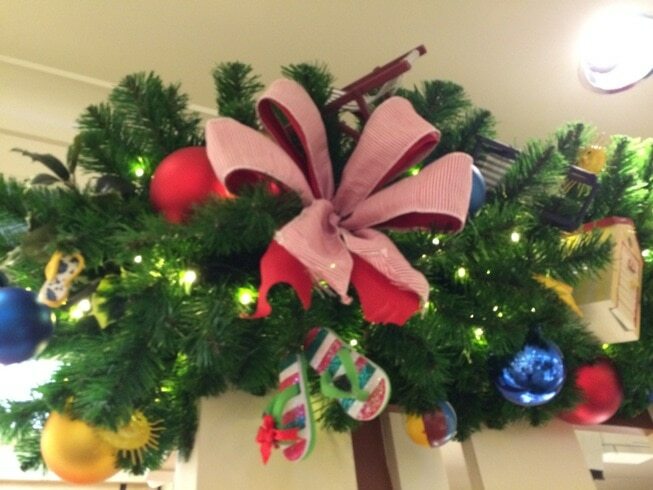 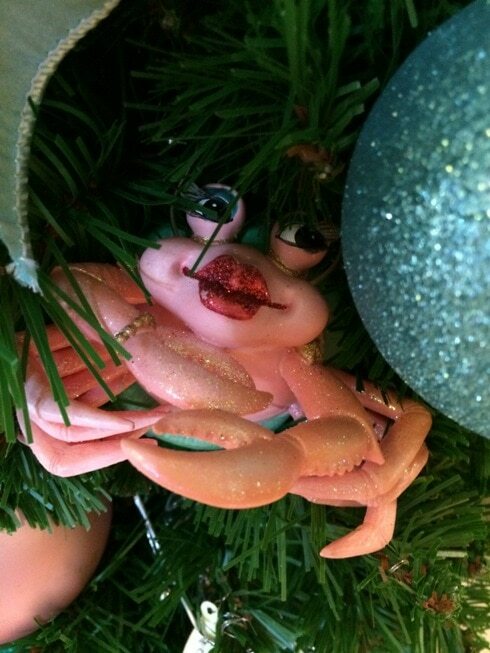 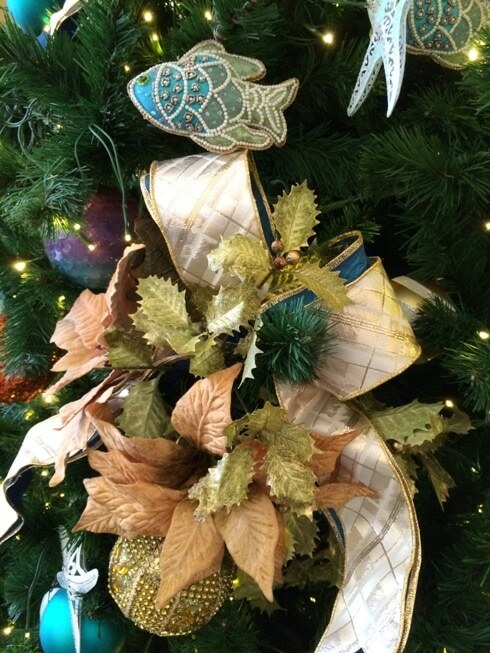 Read our post to see what you’ll find at the Yacht Club during Christmas time.